Speaking Of Foster Care In 'The Language Of Flowers' Victoria Jones is often sullen, silent and hostile, but she learns to communicate through flowers. Vanessa Diffenbaugh's debut novel tells the story of this woman, who struggles to overcome her troubled childhood spent in a series of foster homes. Victoria Jones is often sullen silent, and hostile, but she speaks the language of flowers. She knows that red roses signify love. The primrose means childhood, which she never really had growing up in a series of foster homes and institutions in northern California. The hawthorn means hope, which Victoria ran out of after never being adopted and then turned out of foster care and left on her own when she turned 18. Aging out of the foster care system convinces Victoria to be suspicious of all attachments. She sleeps in the park and does odd jobs in a flower shop for small change, until the power of flowers opens her life. Victoria has a hard time trusting people, Diffenbaugh tells Weekend Edition host Scott Simon. "I've worked with foster kids a long time, and I think that this is something that foster kids — and really all of us — struggle with to some extent," she says. "If you've been hurt, as Victoria has many, many times, it's hard to learn how to trust again." Victoria does have a connection with flowers. The flowers also represent something that Victoria is good at, Diffenbaugh says. "There aren't always, especially in low-income communities, the arts and the dance and the drama and the things that can really show a kid, look, even if I'm three years behind in math, there's something I'm good at that can help me be successful in life," she says. "And I think for Victoria that's what the flowers give her is a sense of success." Diffenbaugh and her husband are foster parents, and while she says the novel is "100 percent fiction," the book does draw on some of her personal experiences. Victoria's character was inspired by a young woman whom Diffenbaugh had mentored. "She had a very serious attachment disorder. She'd been born into the foster care system, she had a number on her birth certificate, and she didn't even know who named her," Diffenbaugh says. "There were brief moments when I felt that I knew her, and I loved her, and I knew that she was capable of loving me back, but I could never quite get through to her." "You can't poison me or give me medicine I don't want. Or hit me — even if I deserve it," Victoria says. Diffenbaugh says foster parents should expect to be tested. "You have to really prove yourself to young people," she says, "and if your answer is clear and consistent and loving — even if it's angry and disappointed — what's important is that you're being real and honest and not going anywhere." As much as Diffenbaugh loves flowers, she says, the focus of the book is foster care. "I certainly sat down to write a book about foster care and to really try to tell the complexities of the emotional life ... of trying to love someone who has never been loved and is learning to love you back," she says. 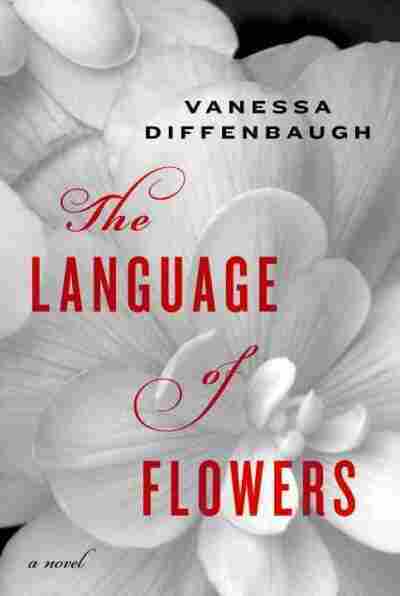 The flower angle emerged organically as Diffenbaugh sat down to write the book. The first scene she wrote is one that takes place in the flower market. A man looks at Victoria in a way she doesn't like, so she later brings him rhododendron, meaning beware. "And it wasn't premeditated, it was just that this young woman who was so hurt and so outside of society in every way," Diffenbaugh says, "and she needed some way to connect and communicate, and the language of flowers was really what felt right." Being given up at birth, Diffenbaugh says, can evoke "a lot of feelings of unworthiness," regardless of the reason the parents gave up the child. "I think that the hardest thing about working with young people in foster care who've been through this kind of neglect and abuse is really to convince them that they are worthy of being loved," she says. "And I think because often they don't feel worthy of it, that's why they push people away."